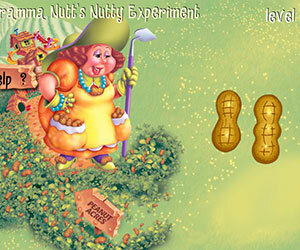 Gramma Nutt's Nutty Experiment, 2 player games, Play Gramma Nutt's Nutty Experiment Game at twoplayer-game.com. Gramma plants magic nut. There are many candies in the nut. Try to find all the candies.TwoPlayer-Game.com hopes you will have fun!